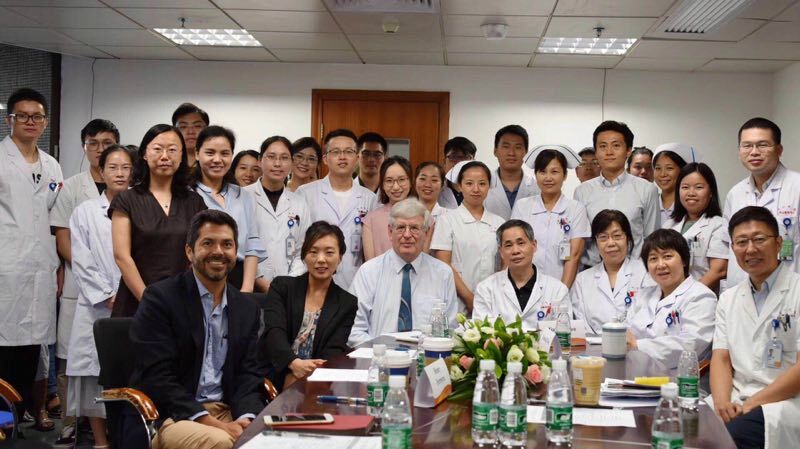 The Department of Strabismus and Amblyopia held a case discussion panel on Aug 10th, 2018, and we invited Prof. John Sloper from Moorfields Eye Hospital, Dr. Euna Koo from Byers Eye Institute of Stanford University, and Dr. Henry A. Ferreyra from Shiley Eye Institute of UC San Diego. 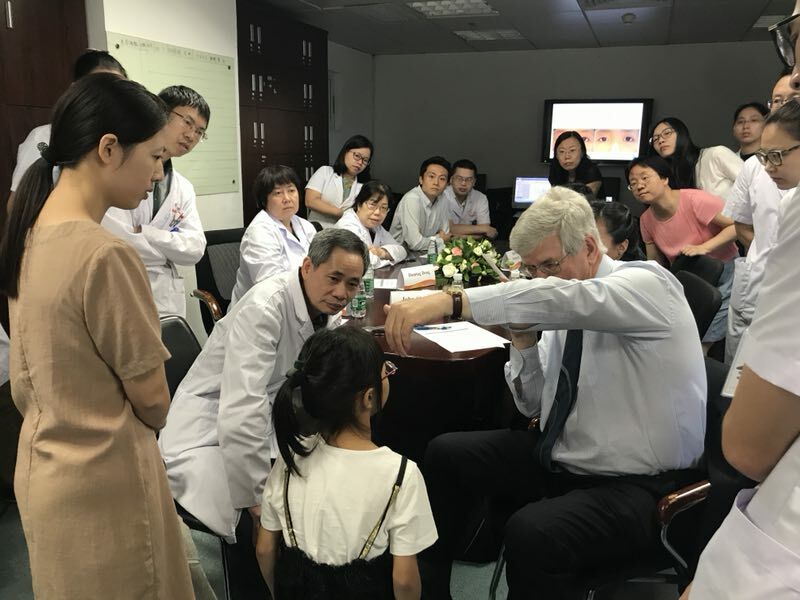 Prof. John Sloper and Dr. Euna Koo are specialists in pediatric ophthalmology and strabismus, while Dr. Henry A. Ferreyra is a vitreoretinal surgeon. Prof. Daming Deng and Prof. Ying Kang from Zhongshan Ophthalmic Center (ZOC) also joined the case discussion panel. The panel began at 9 am with the opening remark of Prof. Jianhua Yan, the director of the Department of Strabismus and Amblyopia of ZOC. Afterwards, 6 interesting and complicated cases were discussed. The cases were presented by the department’s junior residents. The first case was a V-pattern exotropia with craniofacial abnormalities, and the participants concluded after discussion that the patient may be a simple V-pattern exotropia. The case with pseudoexotropia and dominant esotropia was discussed simultaneously. For the case with “consecutive strabismus”, Prof. John Sloper considered that it was uncorrected accommodative esotropia. The other cases were patients with diplopia and with congenital fibrosis of extraocular muscles. 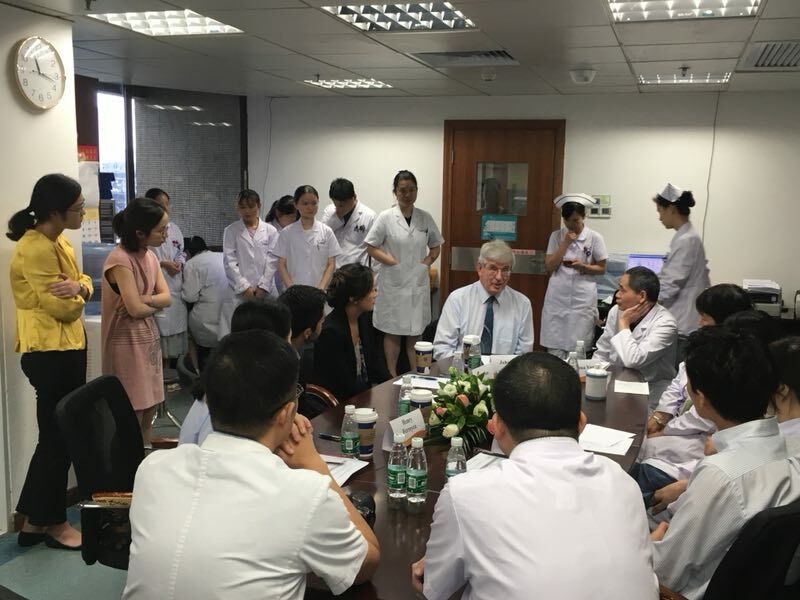 The joint Case Discussion Panel in Strabismus has been held for 2 consecutive year since last year, it serves as a useful platform for both Chinese doctors and foreign doctors to interact with each other and make in-depth exchange of views on these complicated cases.